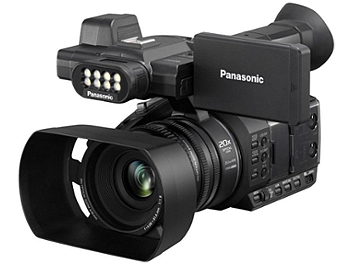 The Panasonic HC-PV100 is a Full HD camcorder for professional video recording, equipped with XLR mic/line inputs, 3 manual rings, 20x zoom lens and 300lx LED video light. When I first unboxed the camcorder everything was neatly and placed securely. This camcorder is lightweight and easy to handle and operate. Image quality is not that good especially if you record in AVCHD and MP4, I prefer recording with MOV. It works well with any microphone systems. Check some of my videos on YouTube. Search for Kwano Fashion Week.